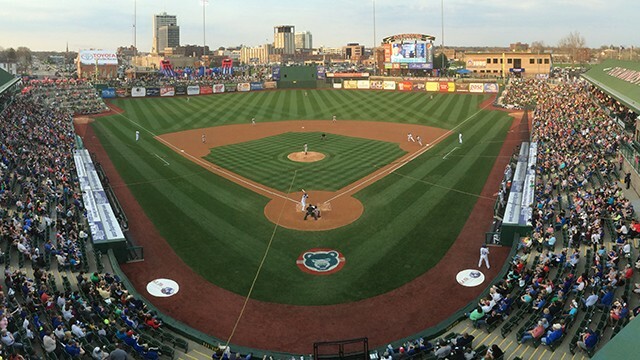 In a May 26, 2015 The New York Times article titled “A House of Worship, Converted", Andrew Keh describes the resurgence of minor league baseball in South Bend, Indiana. The focus of the article is the conversion of a Jewish Synagogue into the South Bend Cubs team store. It is a fun article and a great example of repurposing an existing building. Contained in the article is another story, the construction of the team training facility that is behind right field in the articles' photos. This typical looking building is not really typical at all. It took the creative engineering skill of the Needham DBS staff in Fort Wayne to "pull one out" in the bottom of the ninth. When a major pre-engineered building company had to back out the contract for this building due to their delivery problems, Ancon Construction of Goshen, Indiana, called on Needham DBS in the ninth to "pitch hit". And boy did they!